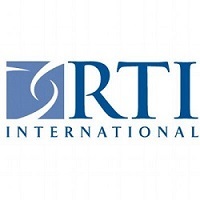 RTI International is seeking Senior Technical Advisor candidates for the USAID Umuhimu wa Takwimu za Malaria Activity (UTM) in Tanzania. The purpose of this project is to support the Government of Tanzania to reduce the burden of malaria and to move towards the long-term goal of malaria elimination. Under a cooperative agreement, USAID funds malaria surveillance, entomological monitoring, drug efficacy monitoring and monitoring of other vector control interventions. Senior Technical Advisor provides technical assistance to the project, particularly focused on Results 2 and 3 around entomological and drug efficacy monitoring. The position is based in Dar es Salaam, Tanzania. • Serves as a member of UTM’s Senior Leadership team, providing vision and strategic technical leadership for the project. • Leads implementation of activities under Results 2 and 3 – entomological and drug efficacy surveillance, managing relationships with key collaborators and beneficiaries, including the National Malaria Control Program (NMCP), Zanzibar Malaria Elimination Program (ZAMEP), National Institute for Medical Research (NIMR), CDC and USAID. • Supports capacity strengthening of government counterparts in entomological and drug efficacy monitoring and surveillance. • Provides input to the development and implementation of annual work and performance milestone plans. • Supports technical management of subagreements with collaborating partners under Results 2 and 3. • Supports implementation of UTM’s MEL plan to ensure project indicators are being met. • Represents the project on behalf of RTI in regional or key global meetings, consultative sessions and conferences. • Master’s degree in public health, social sciences, international development, or a related field. • At least 7 years’ experience managing and leading entomological and drug efficacy surveillance activities for health projects in Tanzania. • Excellent knowledge of data collection protocols for quality data collection and verification. Exceptional ability to analyze multiple sources of data to identify data trends and provide recommendations on project implementation. • Excellent knowledge of Tanzania national issues impacting malaria, including demonstrated success collaborating with NMCP, ZAMEP, and local government institutions. • Demonstrated track record in disseminating programmatic and research outcomes and findings at national and international conferences, as well as in the published peer-reviewed literature. • Knowledge of U.S. government health initiatives and related reporting requirements and funding parameters. • Strong knowledge of USAID reporting procedures. • Fluency in Swahili; exceptional English written and oral communication skills. • Strong proficiency with Microsoft Office Suite applications. • Willingness and ability to travel frequently within Tanzania.